Photos from my interview with Mr. Sonny James (aka Statik) and Phillee Blunt of the Illvibe Collective on last night’s The Main Ingredient. All Together Now is in stores today! Illvibe Collective (Philly) on The Main Ingredient 3/29! Mr. Sonny James, Panek, and Phillee Blunt from Philly’s stalwart DJ/Production team Illvibe Collective will join me on The Main Ingredient next week to talk about their excellent debut album “All Together Now” which is comes out that day on Soulspazm/Fat Beats. 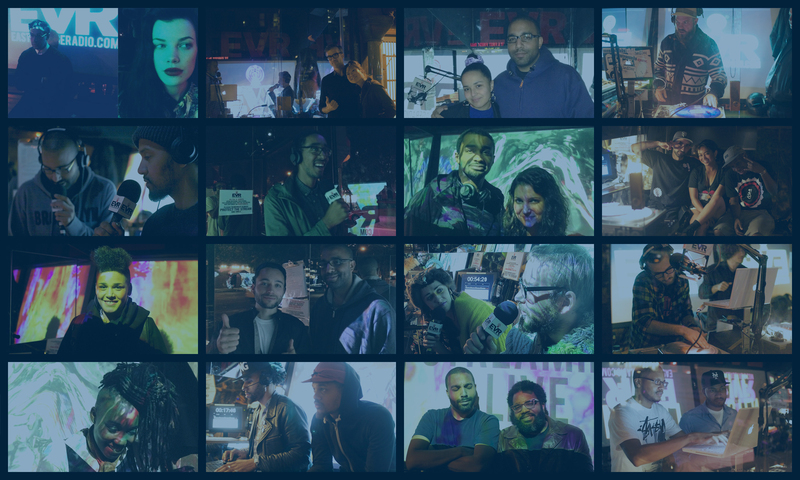 Illvibe Collective is a DJ and production team hailing from Philadelphia, PA. With combined experience dating back to the late 80’s, the DJ collective has developed a unique yet traditionally-rooted taste in music. By playing gigs, touring with performance artists of all musical styles, and running consistent online radio shows, their DJ footprint reaches clubs, concert venues, festivals, and the internet in all parts of the world. The Illvibe style is rooted in Hip Hop yet draws from a variety of genre’s including Funk, Soul, Broken Beat, Electro, House, Rock, Afrobeat, and Bossa Nova to create a progressive musical mosaic. With a strong respect among artists and party-goers alike, the Illvibe Collective brings styles upon styles to the eardrums of all who have a love and appreciation for the language of music. Visit ww.illvibe.com for more music and information.